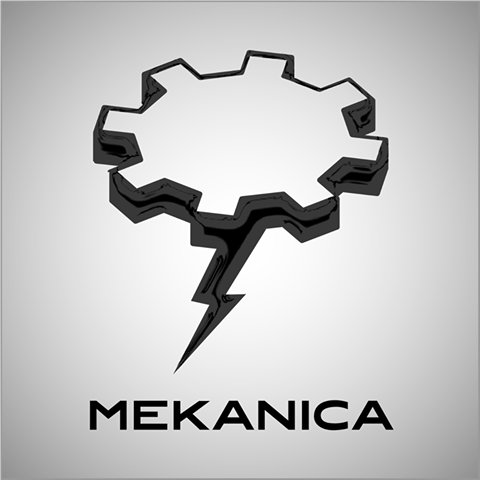 Mekanica is a fork of the Mekanism mod featuring high-tech machinery that can be used to create powerful tools, armor, and weapons. This fork is fully backwards-compatible with Mekanism, with a focus on delivering the same features with better performance and fewer bugs. Got questions? Join us on Discord! Got bugs? File an issue! Largest issue of lag -- ambient lighting -- has been overhauled for performance. Run ALL the machines! Completely rewrote item model rendering to use TEISRs. No more hacky/crash-prone immediate-mode OpenGL rendering of complex items! Solar power generation rewritten to be more realistic (they work better in cooler, less humid environments...and in space work REALLY well). Biome matters now and when it rains, they still trickle some power, but at significant penalty. RF is now the default unit of energy. Rewrote turbine rotors for improved reliability (lss so that instead of sending n^2 packets per multiblock formation/chunk load/neighbor change they now only send n packets; also fixed various crashes associated with turbines across chunk boundaries. If I replace Mekanism with Mekanica, will my world still work? Yes. This mod aims to maintain full backward compatibility. Our focus right now is on improving performance, quality and maintainability, not introducing new content. The one notable change that might break compatibility at this point is the removal of the voice server functionality. We might add/remove content in the future, but when that happens there will be ample and LOUD notice. Do you provide generators and tools modules? Yes! You can find them here!